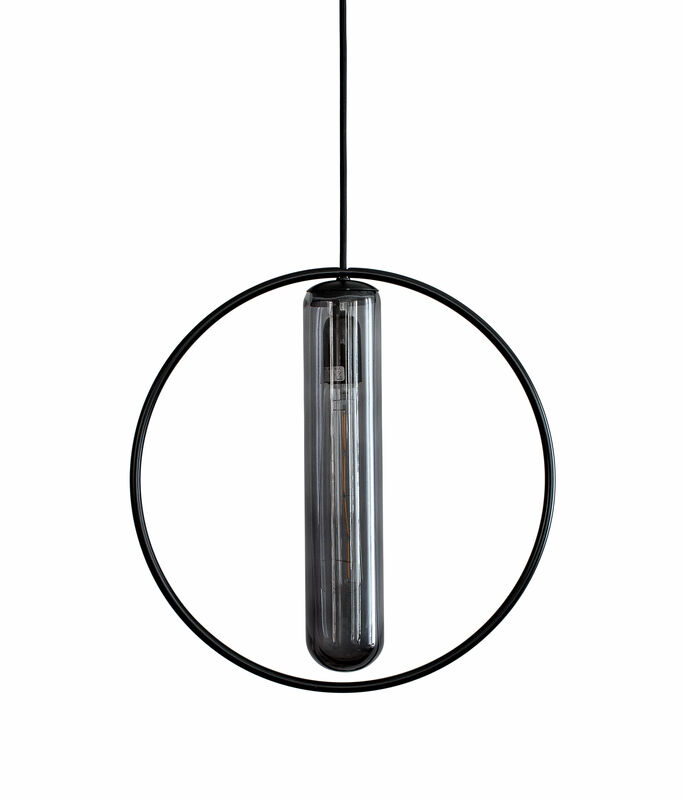 Dimensions : Ø 36 cm - Diffuser: Ø 7 cm - Cable: L 200 cm max. 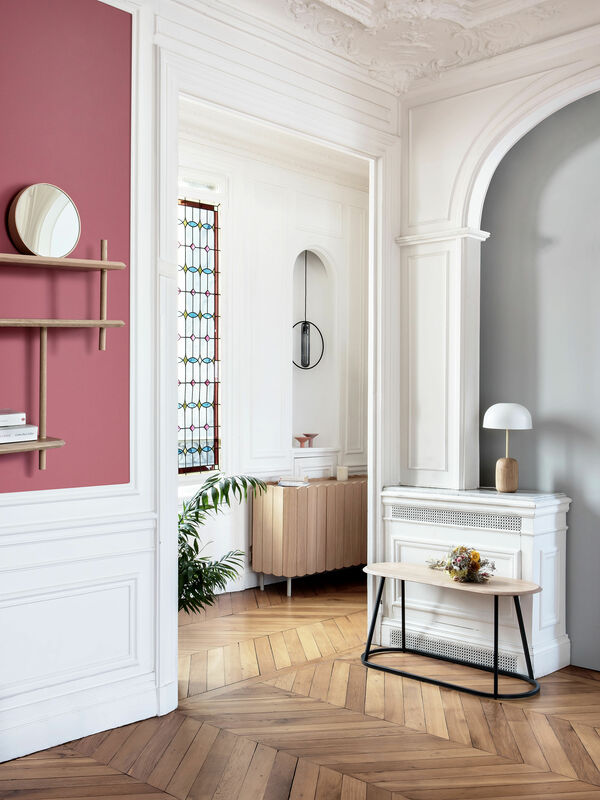 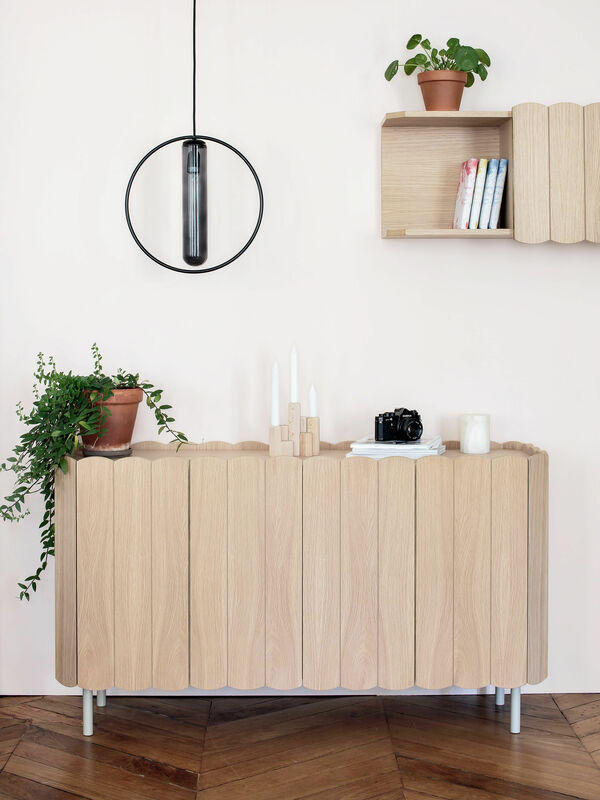 The talented Berlin designer Hanne Willmann approaches objects with simplicity and a light touch. 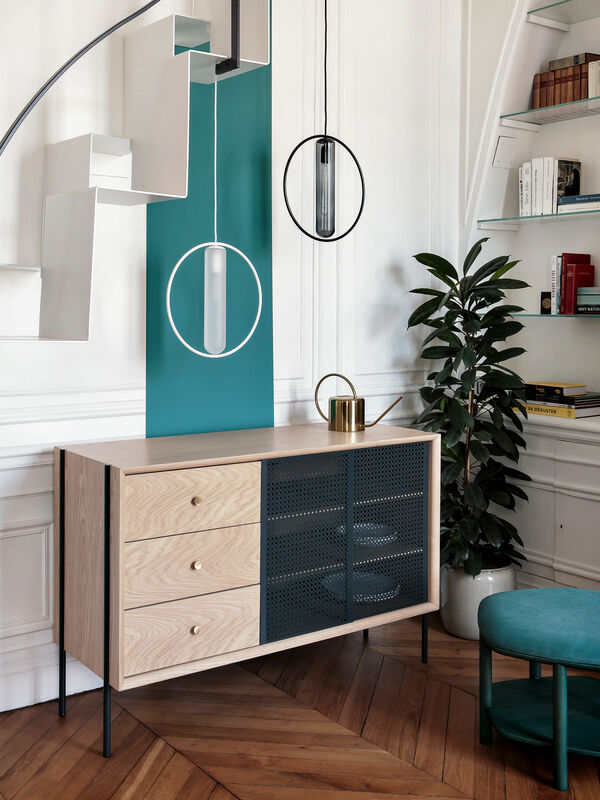 Craftsmanship and minimalism are at the heart of each of her creations. 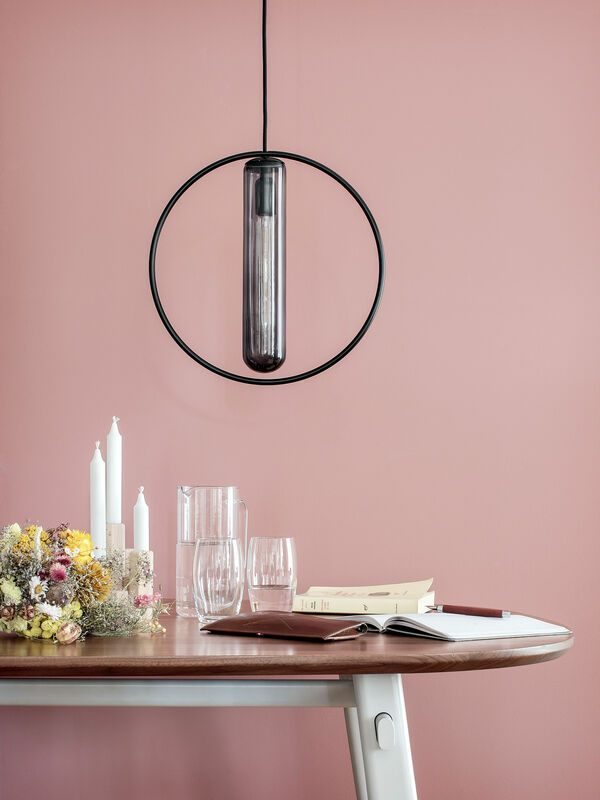 For Hârto, she created Astrée: an ethereal pendant that’s simple and extremely elegant. 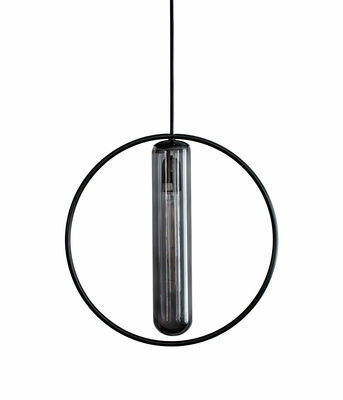 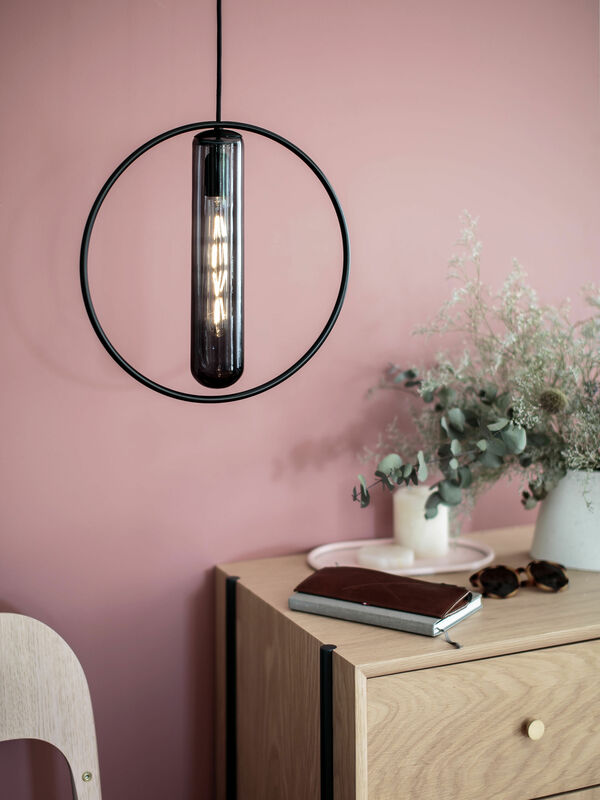 The thin metal ring serves as an elegant frame for an elongated blown glass diffuser. 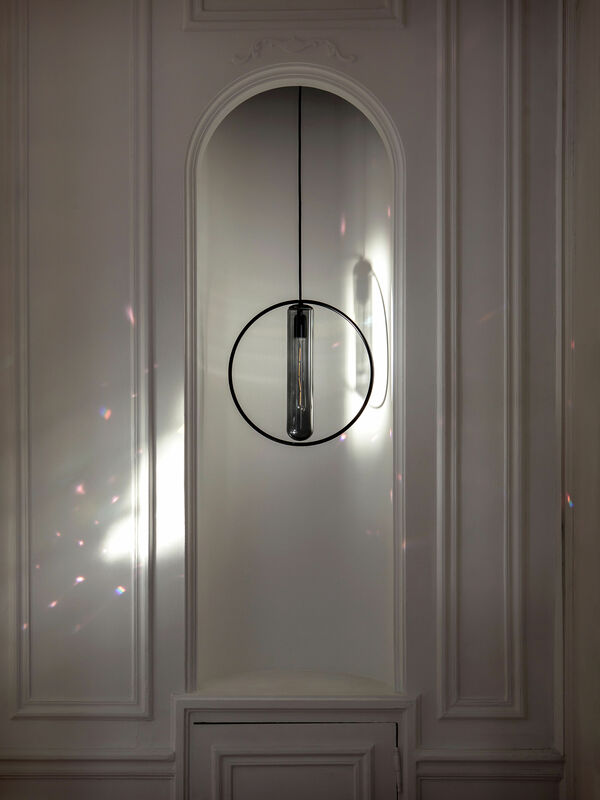 The tinted glass gives it a mysterious feel while its mobile ring dances freely among the drafts. 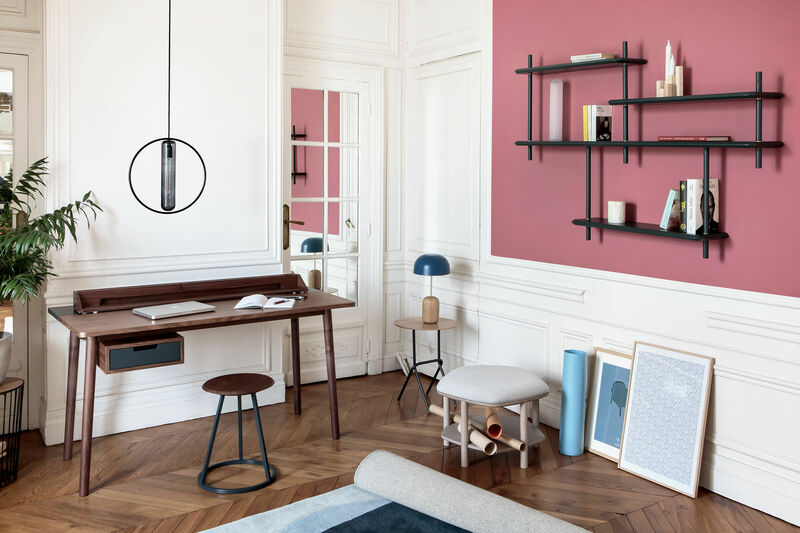 A sculptural and sophisticated light construction.